As a mum it can often be hard to find the time to really focus on you and what you want to achieve in life other than raising happy children. For the last two year I had been content with being a stay at home mum with plenty to keep my occupied with two under 3’s, a house renovation and building a mummy network in the area after moving here from London. However, as my youngest started to become more independent and my thoughts turned to him starting at nursery, it made me think about what I wanted to achieve in life over the next 5-10 years. What would I do when the children are at school during the day, who did I want to be, were my needs being met? I have always been a career focused person so the break from work has been amazing, but a desire to be part of the working world started to creep back into my mind and so January 2017 I started to research my options. At first my options looked bleak. My previous career was based in London, and I had already tried to look into he logistics of making that work and realised it was impossible with my husband also commuting in daily. I did the maths with full-time childcare costs, and well and it just didn’t add up and I don’t think it would have made me any happier. If anything I would have missed the precious moments with my little ones for probably not much financial reward. So I, like thousands of women in the country was left in a bit of a conundrum – was it worth going back to work and if I did what possible jobs out there offer the flexibility I needed to meet my obligations as a mother and wife? For me this seemed impossible! That was until I stumbled upon Digital Mums through a Facebook ad and was immediately drawn to the idea of gaining new skills that may open up a new world of flexible working opportunities. I loved that fact the course was tailored to mums – so they would understand the limits to my attention span at the end of a long day. I’d also be placed in a small peer group of like minded mums all in the same boat. It was too good to ignore and as I already had a background in Marketing, I thought it was a perfect fit for me, and thus started my journey into the world of social media and where Mummy Time Out was born! The Digital Mum is a fantastic course, and has given me new confidence and introduced me to a new network of friends and business contacts. 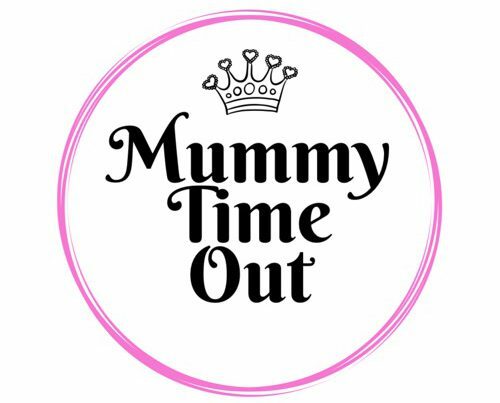 I am really proud of the brand I have created and love it when people stop and talk to me about Mummy Time Out and have received some really positive comments. I have been fortunate enough to meet some fantastic local mums who are making work work for them and have been a real inspiration. The have been some challenges. I have felt guilty about the time I spend on the phone in front of the children, so I would try and do my scheduling at night, which has irritated my husband (solution: hide under the duvet with the phone!) My time keeping has been appalling as I have found myself running late in the mornings as I try to perfect the perfect image for Instagram! My husband even accused me of wanting to get out and go places so I could post online – not true! My main objectives from this course was to hit my KPI’s, pass the course, meet some great people and get a flexible job. Well I am so delighted in that I have achieved all of these and more. I am now working for the brilliant Muddy Stilettos Berkshire and LOVE IT! It may not be a social media role, but it is working for one of the most influential blogs in Berkshire and it’s wonderful to be able to work flexibly from home for a brand I am both interested in and am passionate about. So I guess my message is, if you are interested in social media and networking, this is a great investment and will push your boundaries but to uncomfortable levels. Just go for it! You can do this! Being a mum is a hectic full time job in itself and I know I worried where I would find the time to complete a course. Don’t worry. The course is manageable and the modules are in bite-size portions to make it achievable. It’s also fun as DM’s us a mixture of media so its not pages of dry text, they’ll be videos, conference calls, podcasts and of course Whats App to chat with your peer group. Don’t be afraid of social media. I was a bit nervous about sharing more of my life and taste with the world, however, I have set my own limits as to what I am happy to share so I feel comfortable and am able to just post and not overthink it too much. Don’t feel guilty about doing something for you and your future career. Yes there is a time and financial investment to be made but this is for your long term future and your family will admire you for it in the long run. Have fun! Once you have decided to sign up for the course, decide on your topic, work out your tone of voice for your target market and just go for it. People are on social media because they want to engage – so have a ball doing just that! The hustle can sound quite intimidating and scary (it did for me). It was hard to picture how I would get a job at the end of the course. Who do you ask, how do you go about it etc etc? But actually the hustle is just about connecting with people and it is amazing how positively people respond to mums putting themselves out there and being entrepreneurial. Connect with local businesses as you go, talk to people – there are so many run by mums like you so you’ll be amazed by the warm response of your campaign and the opportunities out there. It’s not the end of Mummy Time Out, I do plan to keep it going and shall continue to share inspirational and interesting things I find on Instagram, Facebook and Twitter, but maybe not a frequently as I have been!